Stepped care provides the least intrusive intervention to individuals seeking treatment by providing a range of treatment intensities. In the past two decades, computers and the internet have provided a new and efficient medium that lends well to adding steps in a stepped-care model. While there is ample evidence to support the positive effects of bibliotherapy or self-help books, computer-aided therapy (also known as e-health) has the potential to take these effects even further. This volume will be of interest to practitioners and organizations attempting to serve rural and underserved communities. 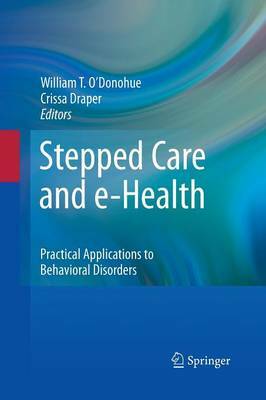 The book focuses on evidence-based treatment, making it consistent with quality improvement initiatives.